These hilarious party favors are a parody of traditional fortune cookies with a sarcastic fart and poo-themed edge. Perfect for an April Fool dinner party! 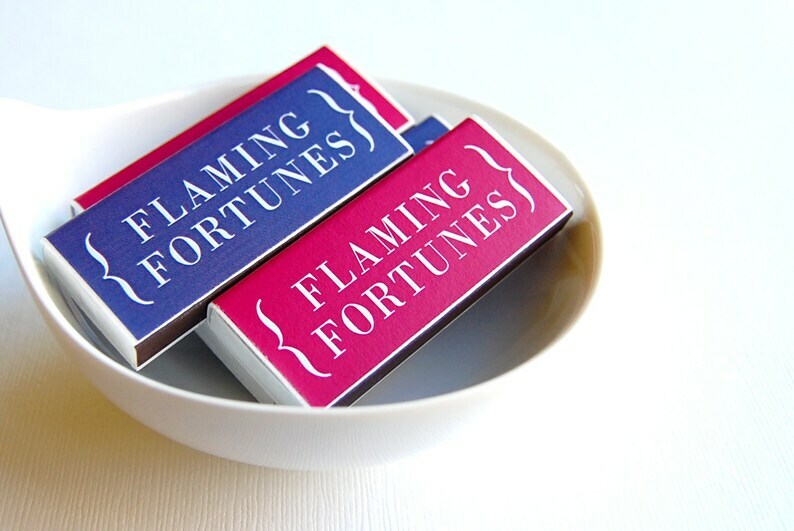 Be the first hostess to offer your guests these fiery fortune matches. 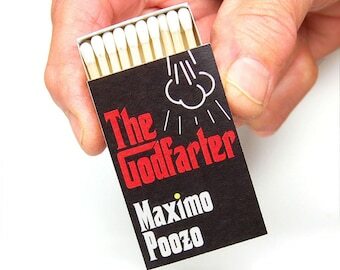 Each slimline matchbox contains a different snappy fortune sure to raise a smile. Very yfun and attractive. easy to keep matches right where you need them.